The expected in-stock date is Wednesday, April 24. Product contains milk, wheat, peanut, soy, tree nuts (almonds, cashews, pecans). Produced in a facility that also processes egg, and other tree nuts (coconut, walnuts). 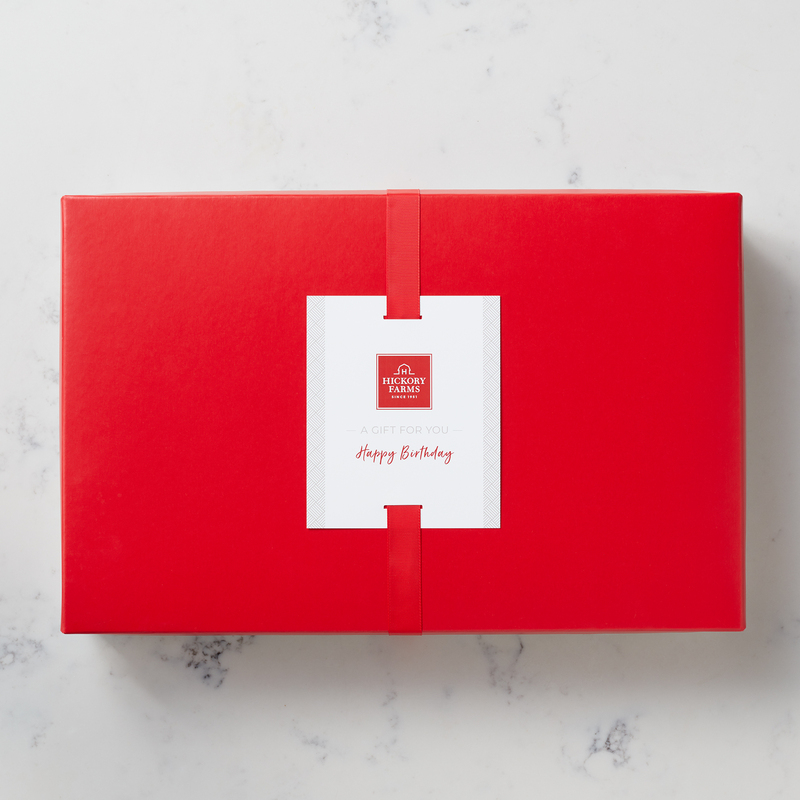 Send a food gift that gives back! 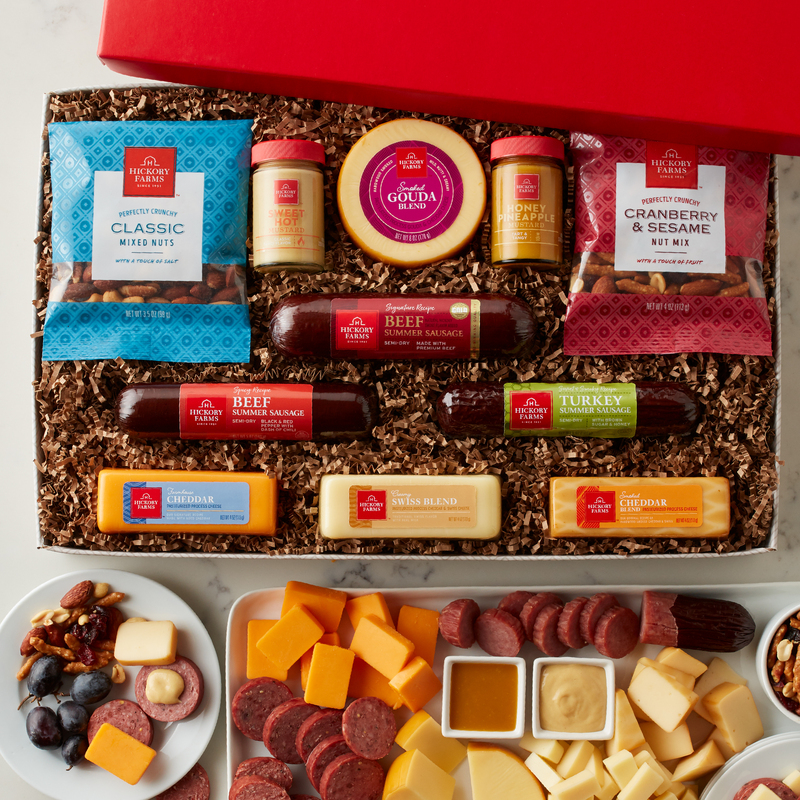 The Give Back Gift Box is filled with an assortment of our award-winning sausage and cheese, and is the perfect pick for anyone who loves hosting gatherings with family and friends. 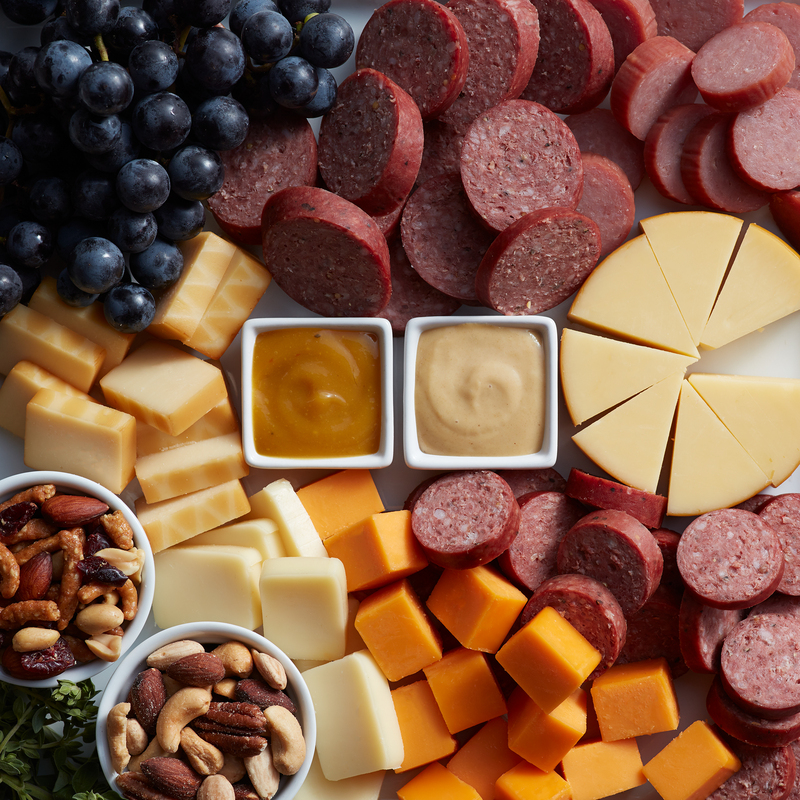 There's three types of summer sausage: Signature Beef, Spicy Beef, and Sweet & Smoky Turkey. With creamy cheeses like Smoked Gouda Blend, Farmhouse Cheddar, and Smoked Cheddar Blend, plus two of our favorite mustards, this cheese and sausage gift makes for tons of delicious flavor combinations. All of these flavors pair perfectly with the sweet and salty Classic and Cranberry & Sesame Nut Mixes for a little crunch. Plus, for every Give Back Gift Box purchased, we'll donate $5 to No Kid Hungry to help end childhood hunger in America. Donations will be made up to a maximum of $300,000 combined from Jan 1, 2019 - Dec 31, 2019.